I have been asked to participate in a live chat hosted by The Register (November 5th, 2PM GMT/9am Eastern) to talk about Windows Server 2012’s role as a cloud operating system. Expect lots of Hyper-V, storage, and networking chat. Say “cloud”, and you think Amazon, Google, VMware – but Microsoft? Yet Windows Server 2012 brings changes in scalability, management and flexibility that are helping turn the tide on one member of that triumvirate – VMware. 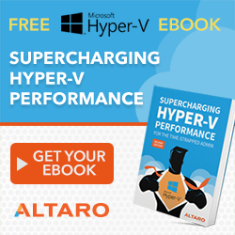 This is because customers are starting to switch to Hyper-V, the Windows hypervisor-based virtualisation system which comes bundled in with Windows Server 2012, rather than paying extra for VMware. Join All-About-Microsoft’s Mary Jo-Foley; Reg regular and ITwriting author Tim Anderson; MVP and co-author of the Great Big Hyper-V Survey Aidan Finn, representing Microsoft; and fellow Reg readers in a Live Chat to talk about what’s in Windows Server 2012 and why exactly it’s starting to turn the tide on market-leader VMware. 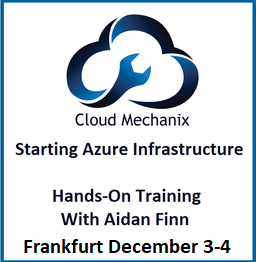 We’ll be looking at why enterprises are likely to upgrade now rather than later and working out where Windows Server 2012 fits into a Redmond cloud story that also contains Windows Azure. Is this a “software data centre”, a “cloud OS” or server marketing BS? Speak your Brains on at 2pm GMT, 9am Eastern, 6am Pacific, on 5 November. Ahead of that, register in the Live Chat window below.